Highly recommended by fellow travellers. Jatiluwih Rice Terraces, nominated for designation as UNESCO World Heritage site, offers a beautiful view of contoured rice terraces irrigated using an impressive communal water system developed by Balinese farmers. Why Jatiluwih Rice Terraces is special ? Jatiluwih is a favorite tourist destination in Bali famous with the beautiful rice terrace unfolding from the foot of mountain until the coastal side. It is one of places to visit in Bali with the beautiful view as according to its name from Jati and luwih, where Jati mean really and Luwih meaning especial, good, and beautiful or the equivalent. The local paddies are planted in this place look typically of the high relative size plant if it is compared with other pre-eminent paddy planted by most farmers in Bali . Despitefully, Jatiluwih also famous with its organic agriculture system due to the location is located in the in the plateau of Watukaru Mount which is suitable for the agriculture development. 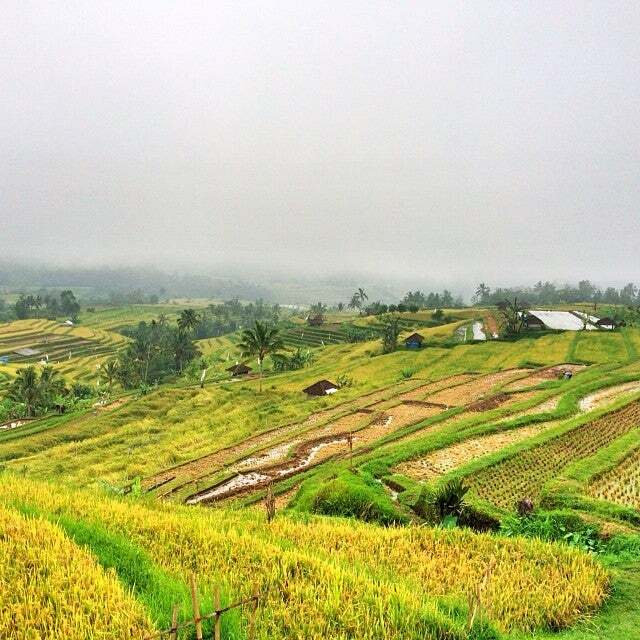 What to explore at Jatiluwih Rice Terraces? Jatiluwih rice terraces pretty much cover the region of the namesake upland village in West Bali, most famous for its landscapes that are both dramatic and truly exotic. The site is one of the island’s must-see natural panoramas on par with Mount Batur and the caldera of Kintamani. The cool highlands and the breathtaking scenery of this village at the foot of Mount Batukaru makes for wonderful photo opportunities, and serves as a soothing retreat away from the island’s crowded south. 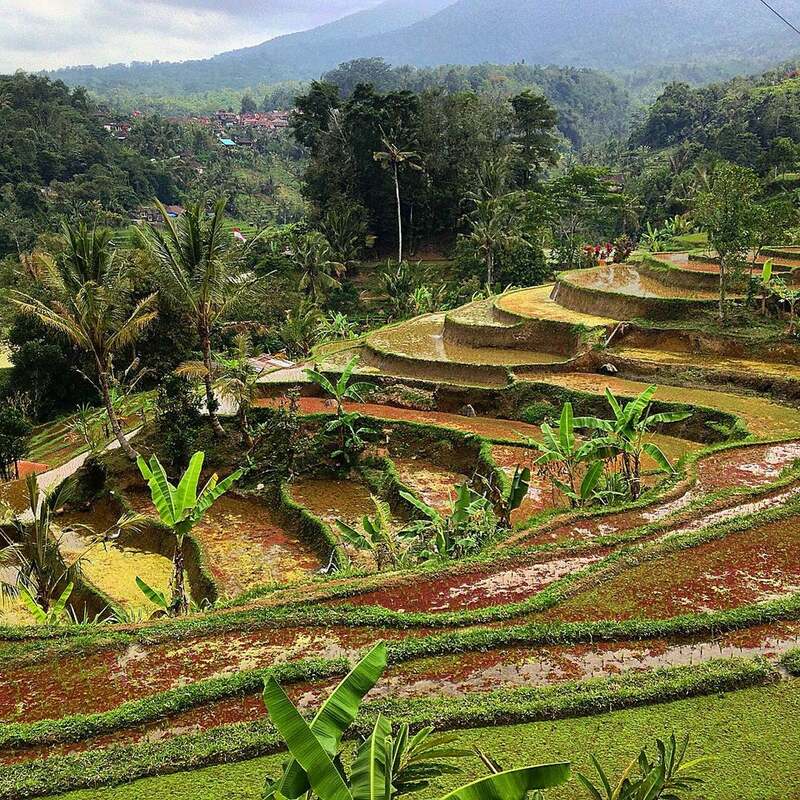 You will find the largest and most picturesque expanse of paddies in Bali and perhaps the whole of Indonesia here. Another sister area with similar views is the village of Pupuan, also in Tabanan. Lush green views will already come into view upon approaching the region, while the main vantage point lies further up in the village. How to get to Jatiluwih Rice Terraces? Jatiluwih rice terraces can be reached by a distance of approximately 50 KM or approximately ± 1 hour 30 minutes from the city of Denpasar. Are you planning a trip to Bali? Check out popular trips from our experts. Copy and make it to your own plan. Customize it Now! Plan a trip to Bali based on your personalized interests. It takes only a few seconds to generate a plan. Entrance to the main area requires a fee (20000 IDR) that goes to the local village cooperative fund, and which is usually covered by tour operators. There is no public transportation leading to this spot, so best hire a transport service for around 500000 IDR (for 10 hours, standard rate). You should try to hire a local driver who can show you thise hidden places where touring cars cannot come. You can trek through the terraces, enjoy the incredibly breathtaking, awesome view, take photos and explore. As a tourist object, Jatiluwih provides the public facilities like parking area, toilet, resting bale and Wantilan for tourist who is enjoying the beautiful panorama. Several restaurants serving international and local cuisine line the small road overlooking the Jatiluwih rice terraces; most tour itineraries stop here for lunch. Come to this area for breathtaking views of rice terraces and volcanoes. Rain or shine this area is beautiful and worth a visit. The journey will most likely be a day trip, we came with a hired driver. Unfortunately, the area is not easily accessible. In our experience the roads to this area are in need of improvement. Apparently the local government of the nearby town does not prioritize road maintenance. There was multiple delays due to bad road conditions. At Jatiluwih Green Land, the majestic Mount Batukaru stands guard over verdant rice fields that were carved right into the mountainside. This site offers one of the finest views in all of Indonesia. is the best food here. You need to Sign in or Register new account for leaving comments. How do you want to start ? We will suggest an itinerary that fits your search criteria. Start planning your itinerary from scratch and add your desired attractions.